Take on your next workout with attitude in the Amplify Seamless range, crafted with your performance at the fore. With advances in seamless technology, its design incorporates fabrics that move fluidly for a feeling of freedom as you train. With every squat, deadlift and stride, the Amplify's flexibility allows for enhanced movements and improved performance. "It's the newest addition to the growing Gymshark Seamless collection," explains Lois Woodcock, Senior Womenswear Designer. "It's our stretchiest seamless product yet." High waisted, supportive and snug, the Amplify Seamless leggings offer an unparalleled feeling of support and comfort. Taking inspiration from the Ombre Seamless' manipulation of colour and the original Seamless' contouring, glute-ehancing design, the Amplify combines the best that both collections have to offer - in new form. Contrast panelling and colour gradient stripes create an angular effect, taking these much-loved features to a new level with a fresh look. "Its linear countouring and gradient panelling is designed to highlight your shape," Lois tells us. "Designed to give you a superhero-like feel." Lois Woodcock, Senior Womenswear Designer. A crop and high-waist combo is a fitness failsafe. "The matching set is designed to give you a superhero-like feel as you train - it has an extreme feel and look, but without being too much." Cut-and-sew with a high neck and the same flattering linear design, the Amplify Seamless Long Sleeve Crop features underbust contouring and added thumbholes. The fabric of both is integrated with DRY technology moisture-wicking properties, allowing for breathability and a lasting fresh feeling. Available in Light Grey Marl/Sea Foam Green, Taupe Marl/Peach Coral and Black Marl/Deep Teal. LAUNCHING: SEPTEMBER 27TH AT 7PM BST. WANT TO WIN A SET OF YOUR CHOICE? Comment below the flag emoji of your country and your IG handle - we'll be DMing the winner! Check out our competition T&Cs right here. 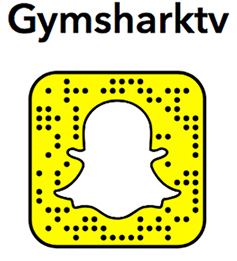 Head over to Snapchat to see the Amplify Seamless in action, courtesy of our very own Gymshark family. You can watch the full review on our story here. Want to stay up to date with all things Gymshark Central? Drop us a follow on our all new Twitter.